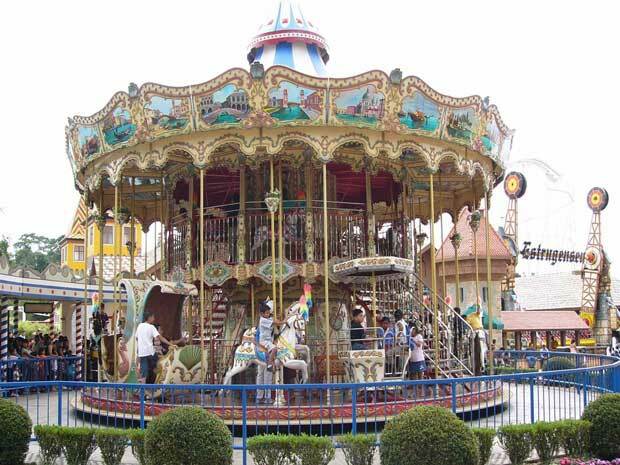 Nowadays, carousels become a necessary and popular theme park ride, almost all kids and adults like the carousels. Maybe just because that it is a symbol of love, and it really give people much joy. Or maybe because of its attractive appearance, antique design which bring people more sweet memories. Also today the merry go round carousels have many seats for the customer to choose, for example, 3,6,9,12,16,24,and 32 seats, especially the double Decker carousels bring people more joyous than the single one. Several months ago, our customer from Russia came to our factory, they want to order a set of carousel for their funfair. After their visiting around our factory, they decide to order the double decker carousel for its grand appearance and attractive point. They said that they really satisfied with our special design and exquisite craftsmanship. Three days ago, we got some feedback from the Russia clients, they said the double decker carousel has bring them more passengers and profits. Passengers are all like it.